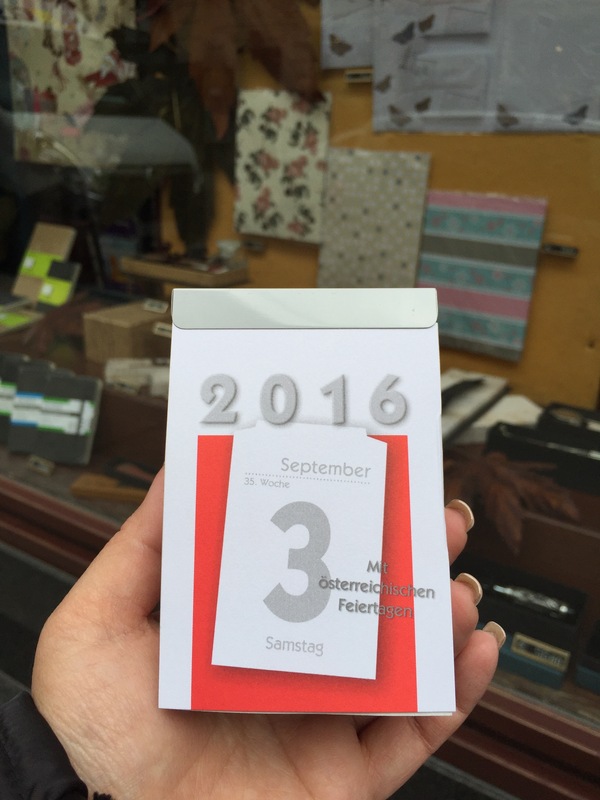 We had a great lunch at Figlmüller, and decided to find a German “day at a glance” calendar for Stephen’s parents. Mom gave us a sample and we have been searching for this since Munich, and apparently calendars aren’t always ready in October. 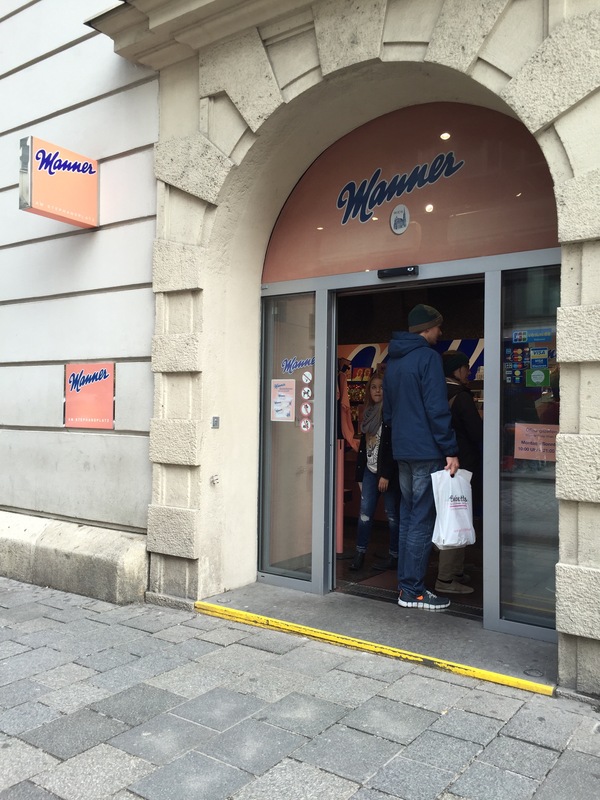 We found a bookstore just down the street from Figlmüller but they told us to check a stationary store. 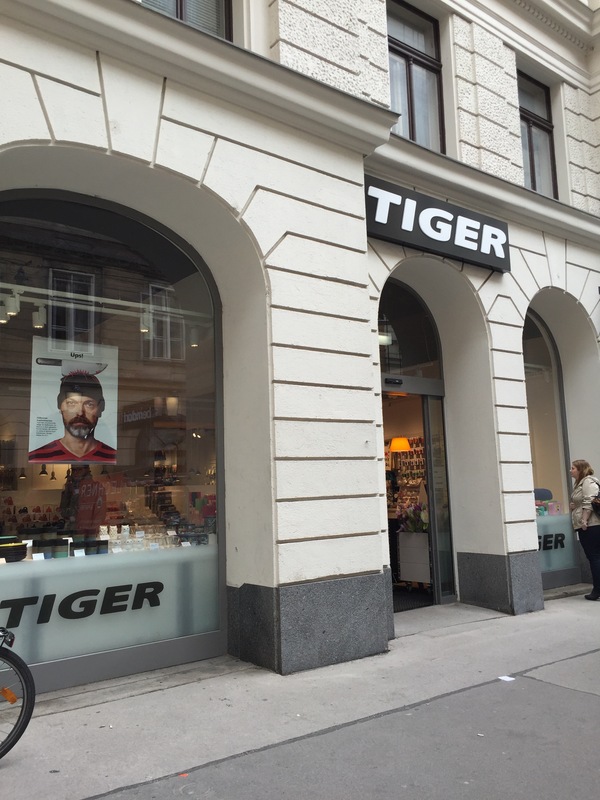 The bookstore pointed to a general direction where to find the store, so while heading toward that direction, we got detoured with a store called Tiger Stores. 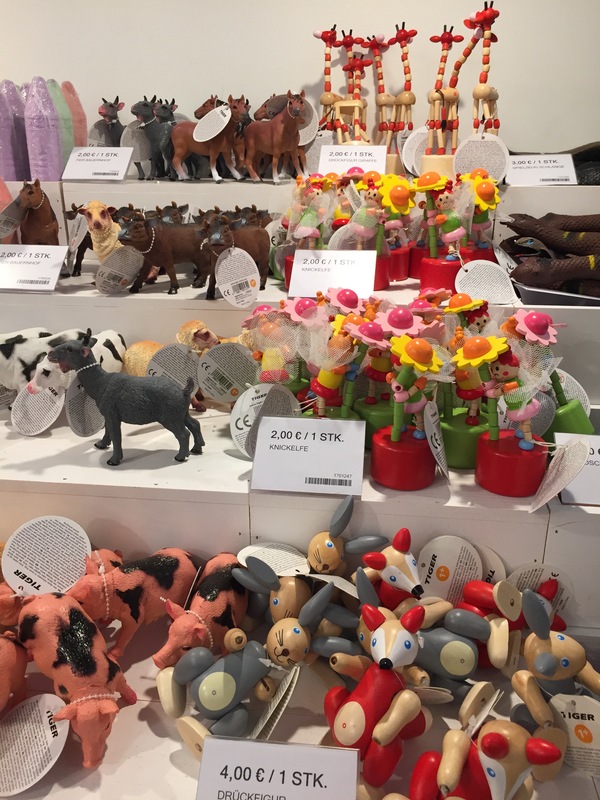 Tiger is a Danish store that sells almost everything from kitchenware, toys, personal items, party items, and so much more. They even had Pilates equipment! 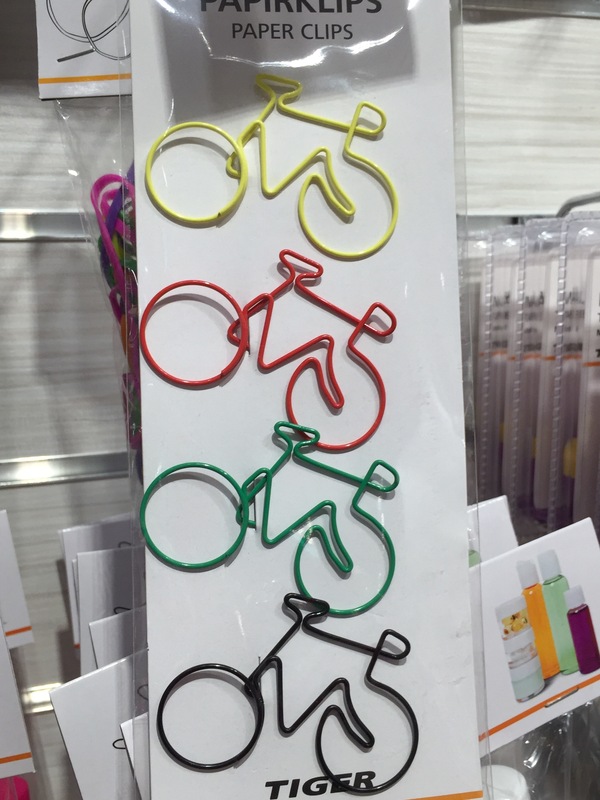 It reminded me of Dollar Tree meets IKEA. Like any cheap store, prices at Tiger are cheap as well. 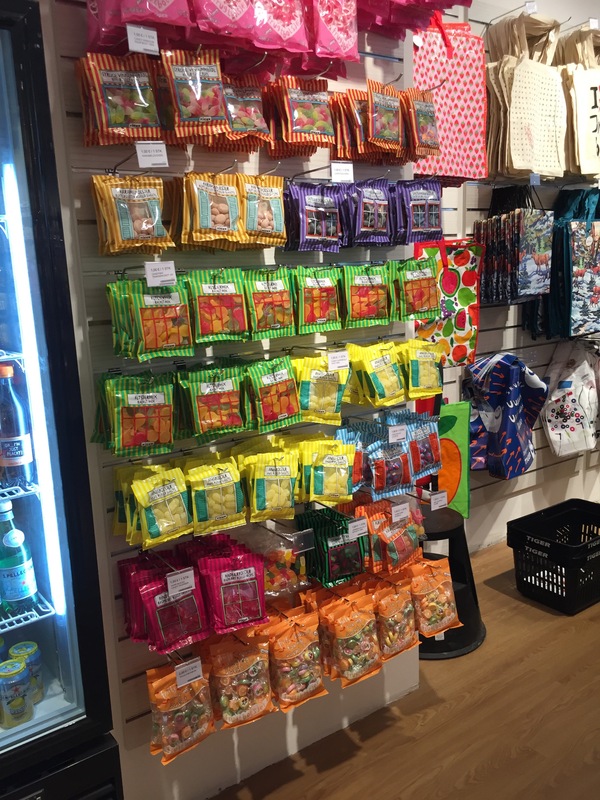 Many items, particularly food snacks, starts at €1,00 and run up to €5,00 or so. 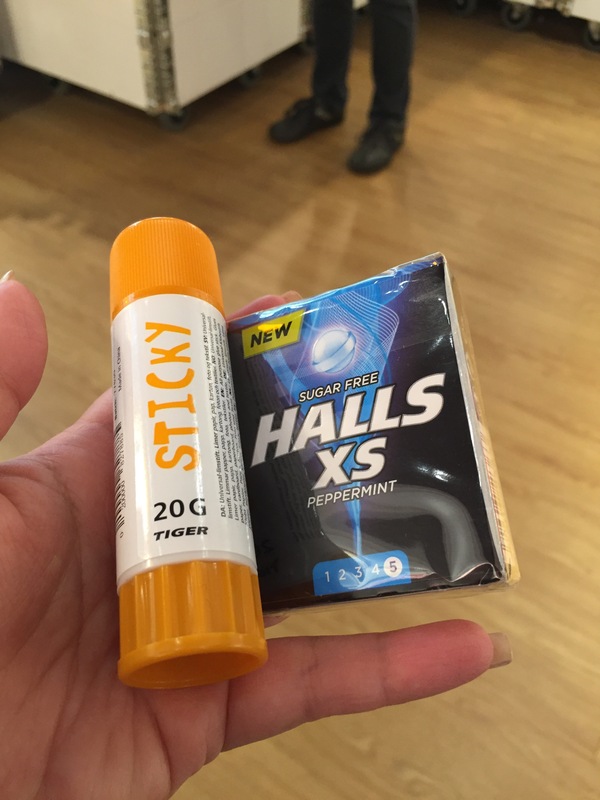 As luck would have it, I needed to buy a glue stick and throat drops for my budding cold. 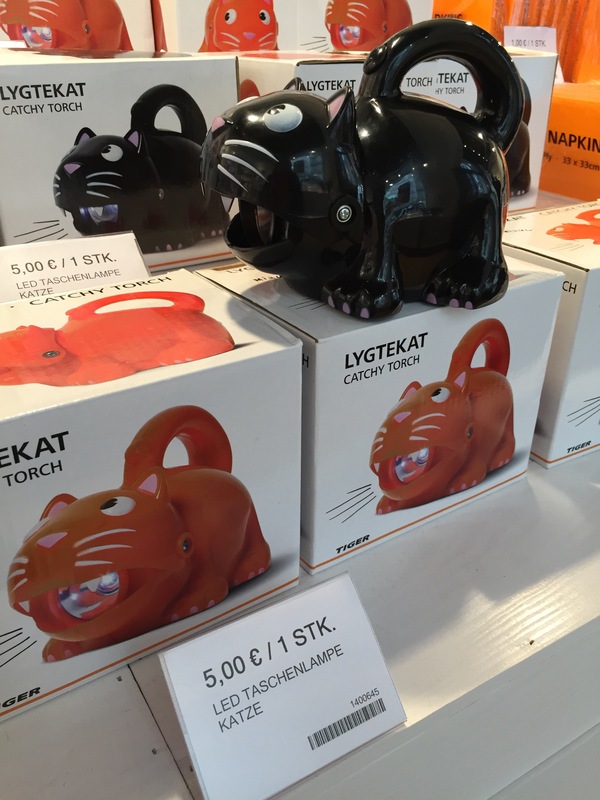 They had them for €1,00 each. 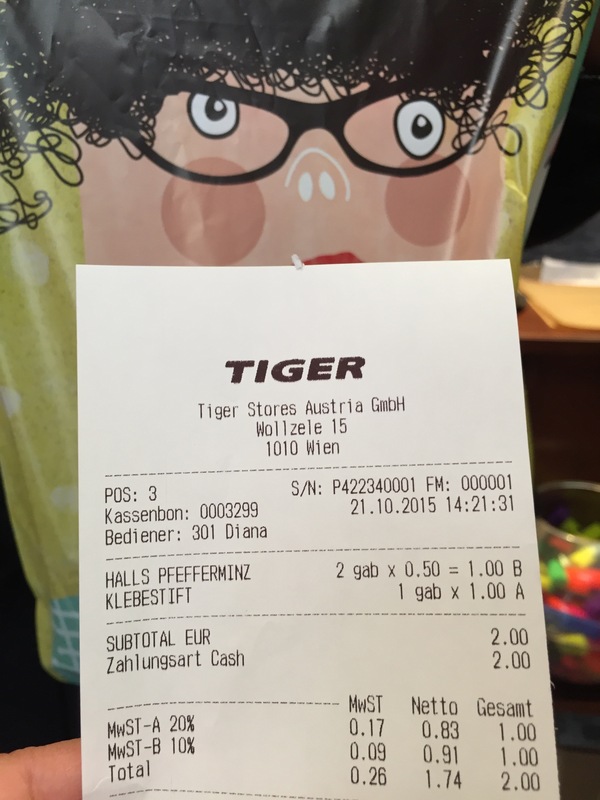 In fact, my Halls were TWO for €1,00… Even more of a bargain! 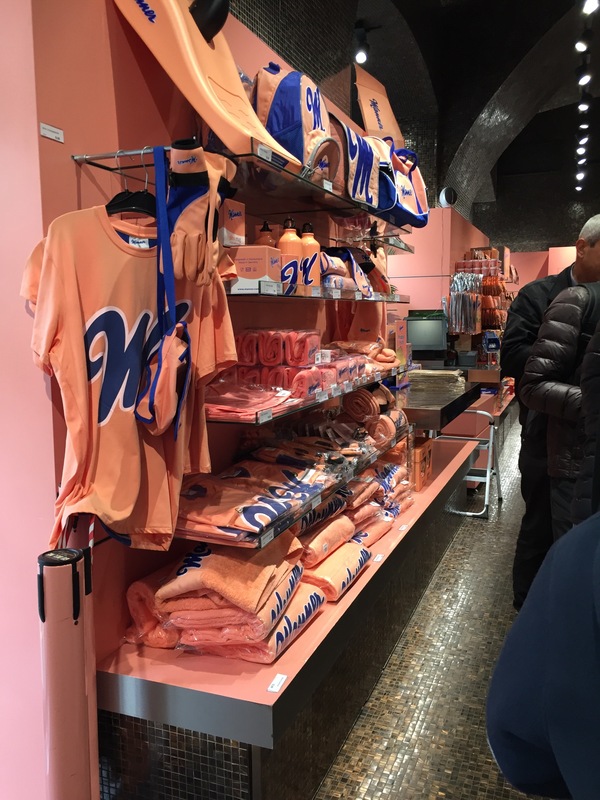 As we walked out of Tiger, a few stores away we spotted the stationary store we needed. When we walked in, I felt I was in a Harry Potter scene. Dusty, tiny store crammed with books, papers, pens, writing accessories, and so on. It was dark inside, and very little walking space. The guy behind the counter asked if I needed help, and I gave him the calendar sample we had. 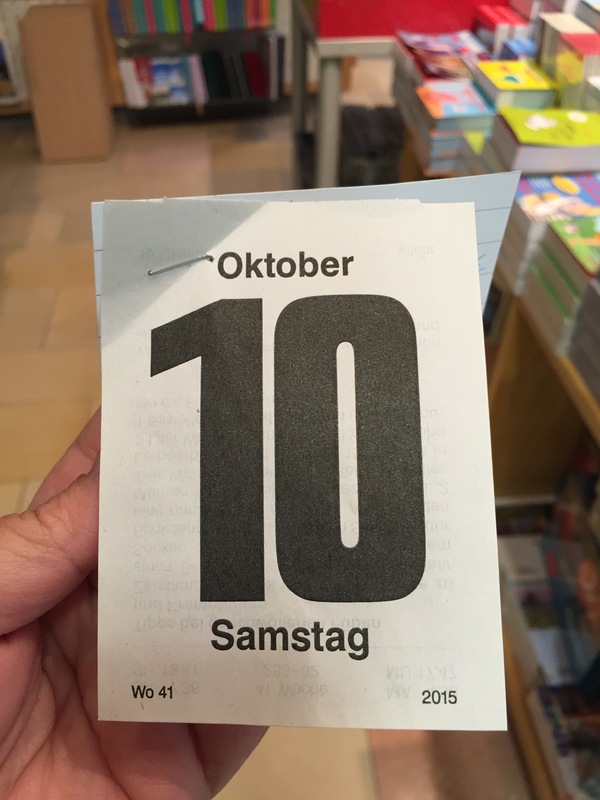 He disappeared in the back and came out with what we needed….a 2016 German daily calendar. Horray!! Success for us! 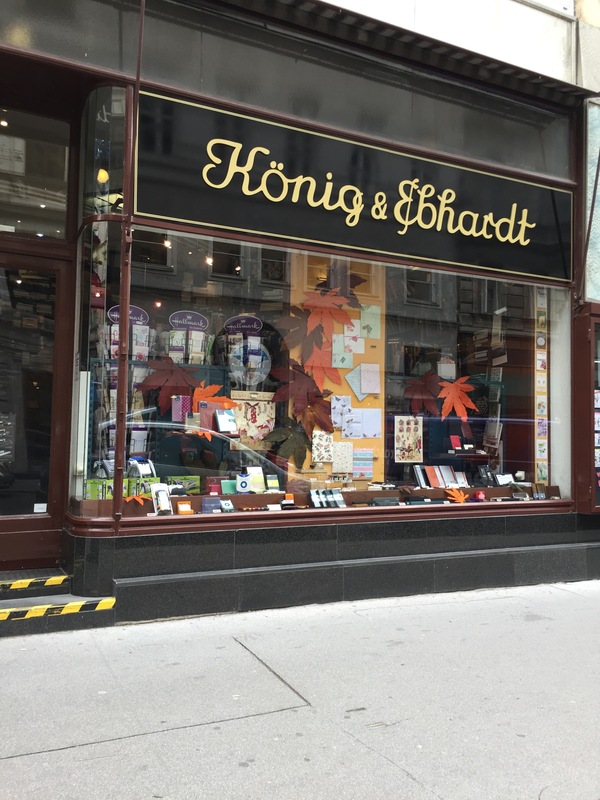 After the stationary store, we decided to head back to the city center, and locate a cafe called Demel, a place known for coffee and desserts. 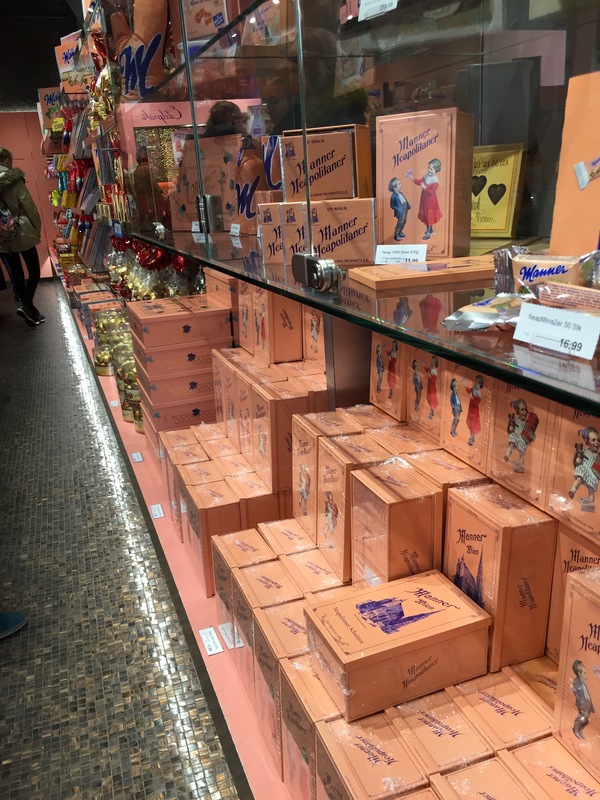 Demel was also known for their Sacher-Torte, which we wanted to compare to the Sacher Hotel. As in most cases, we got sidetracked again when I spied Manner. 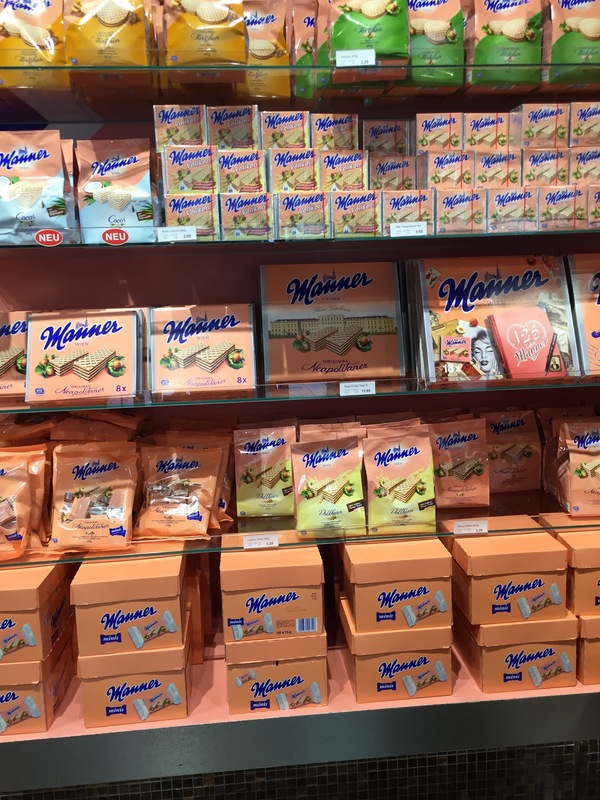 They were located next to the Cathedral, and are known for the Neopolitan flavor wafer, but they also have chocolate covered bananas, chocolate candies and even Mozart candies. My dad is a hard person to buy for, but I know he likes wafers. 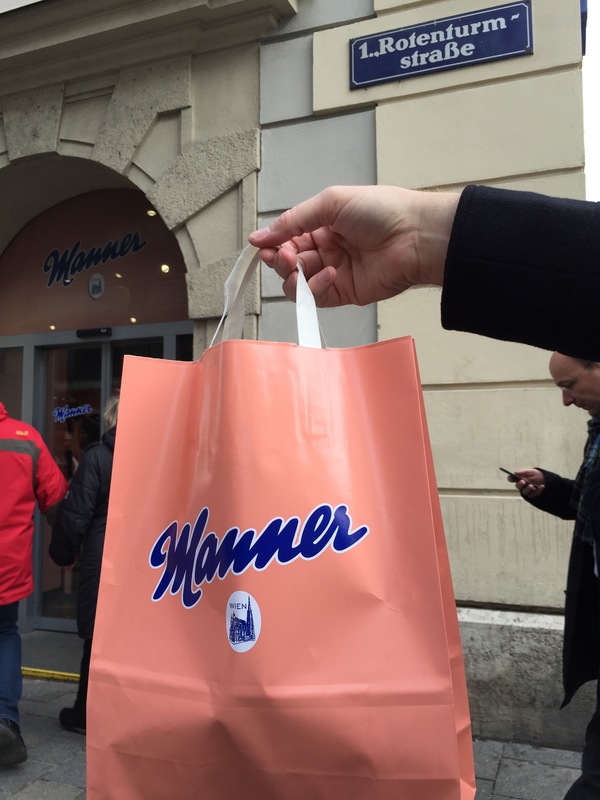 Since this company is Austrian, and we probably can’t get them at home, I picked up a few flavors. Ok, No more distractions… Time to find dessert and coffee for me, and a new post for you to read.